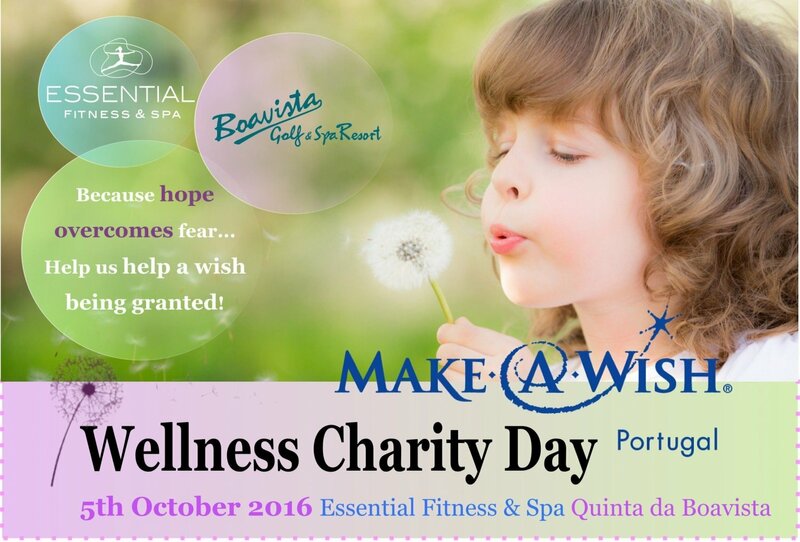 Essential Fitness & Spa and Boavista Golf & Spa Resort is hosting a special Wellness Charity Day in support of Make a Wish Portugal. This will be a great family event. The programme comprises a morning walk and an afternoon outdoor party. At the party there will be group classes, live performances by local bands, massages demos, entertainment for children and excellent food made by volunteers. During the event the health club facilities will be open to all participants. The walk will start at 9am and the afternoon party will start at 2pm. The health club opens at 8am. All funds raised at the event will be donated to Make a Wish Portugal, to help a child with a life-threatening medical condition to fulfill a dream/wish. Adults: 5€ for the walk, 7€ for the afternoon party and 10€ for both events. Download the full programme on the right, or visit the website.